June came and went at the beginning of last week and it seems like July will be over before it feels like it got started! We were busy last week -- still unpacking, celebrating July 4th, and painting some new furniture. On Monday a local furniture consignment store was hosting a special event and we purchased a China cabinet with hutch for the kitchen. It was delivered on Saturday and we worked through the weekend to repaint it. Will have more details on the blog soon. Because of the furniture repainting the kitchen was chaos and we had two of our freezer meals! 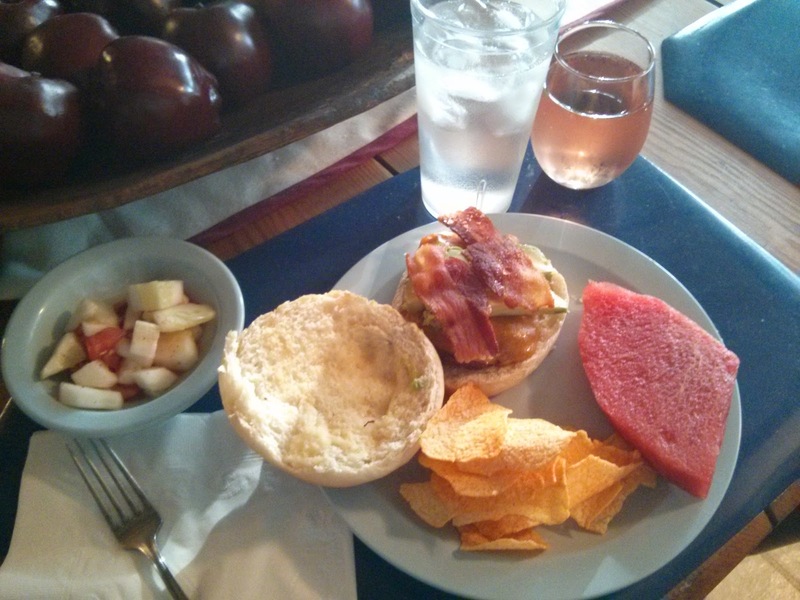 Served with fresh watermelon, chips, and cucumber-tomato salad. Then I made a peach cobbler for dinner dessert. 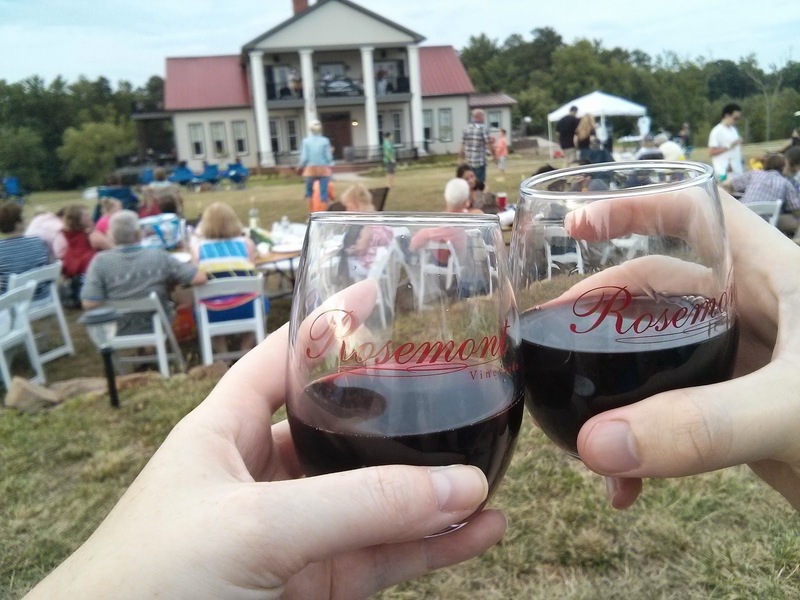 Glad I got in on the Rosemont Winery outing (my college roommate, Martha, was with us). It was so much fun. The meal the next day was delicious.